I wasn’t even going to post this originally, because there’s absolutely no recipe involved. But Pete convinced me to put it up anyway, because he said it might be of use to someone as a quick, easy idea for a meal. Whiting is something I associate with Alice in Wonderland (The Mock Turtle’s song, specifically – “Will you walk a little faster, said a whiting to a snail…”). So if I said I just couldn’t resist buying two butterflied fillets of whiting when I was in Morrisons today, I’m sure you’d understand. I like conducting my little fish experiments on my husband, since I’m vegetarian, and by and large he’s a willing enough participant. Today’s experiment was really rather basic. I had a jar of Sacla tomato and olive stir-in sauce. 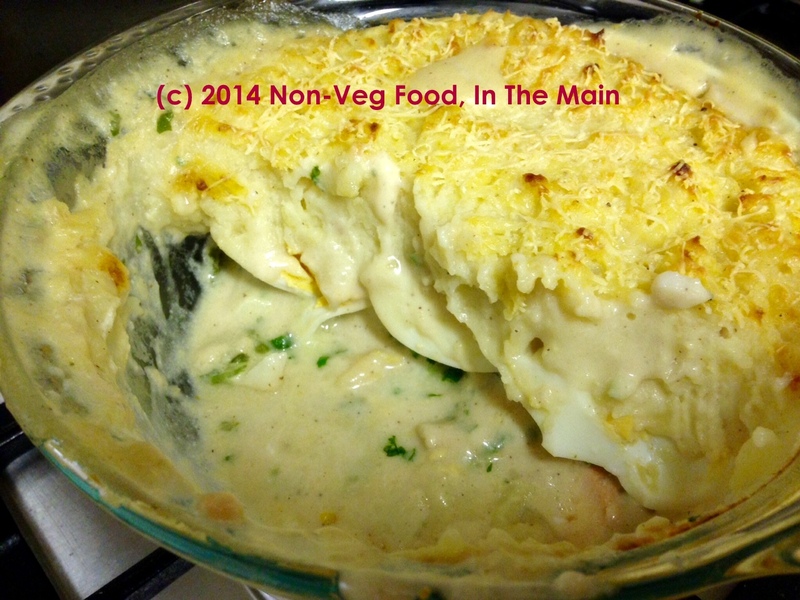 All I did was place the whiting fillets in a small baking dish, pour the sauce over to cover the fish completely. Then I baked it at 180C/350F for about 25 minutes. Served with potato salad with a honey-mustard dressing and coleslaw, it was a quick but simple dinner for Pete. In case you only have normal fish fillets (rather than butterflied) you can still cook it the same way, but just make sure that the fish is cooked through completely, by inserting a knife in the thickest part (after 25 minutes). The fish should be opaque all the way when it is cooked. 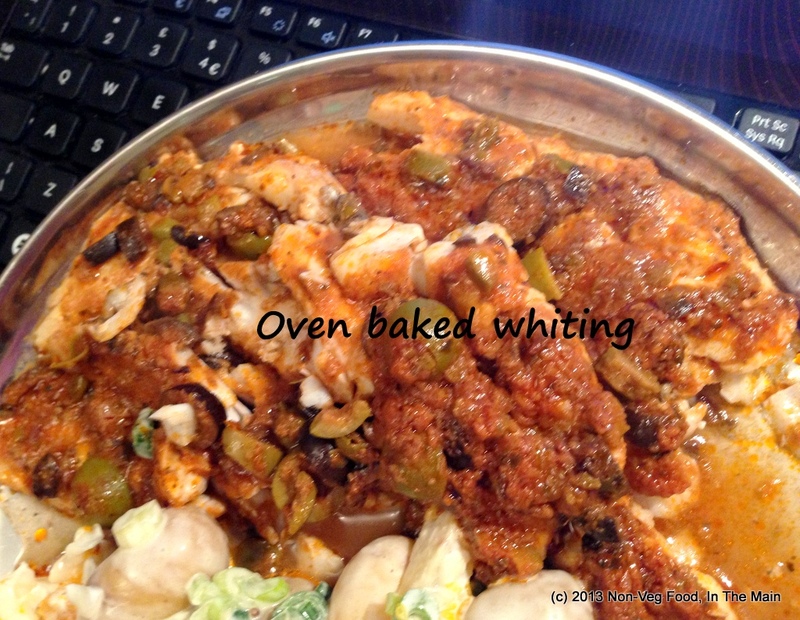 This entry was posted in Fish and Seafood and tagged Fish, oven baked, Sacla tomato and olive stir-in sauce, whiting on February 6, 2013 by shyameds.